An 'i do' it yourself reader pointed out the other week that a link on one of our posts from a couple of years ago no longer worked. 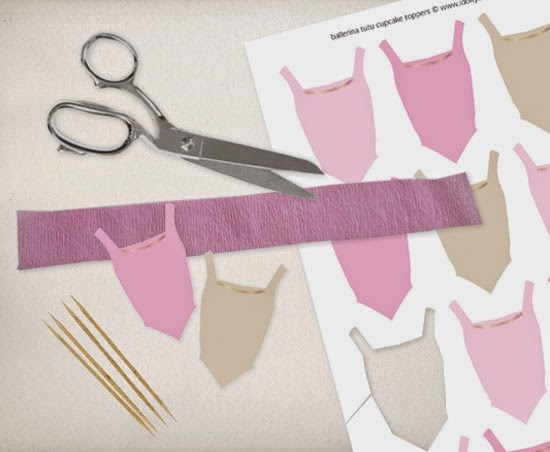 It was a cute little DIY ballerina cupcake topper project with a free tutu template. So we thought its about time we designed our own free download and tutorial. 1. Cut out the bodices and glue two together with a cocktail stick in between.2. Take a couples of strips of the crepe paper on top of one another and fold in half lengthwise. Following the crease and sew the full length of the strips. 3. 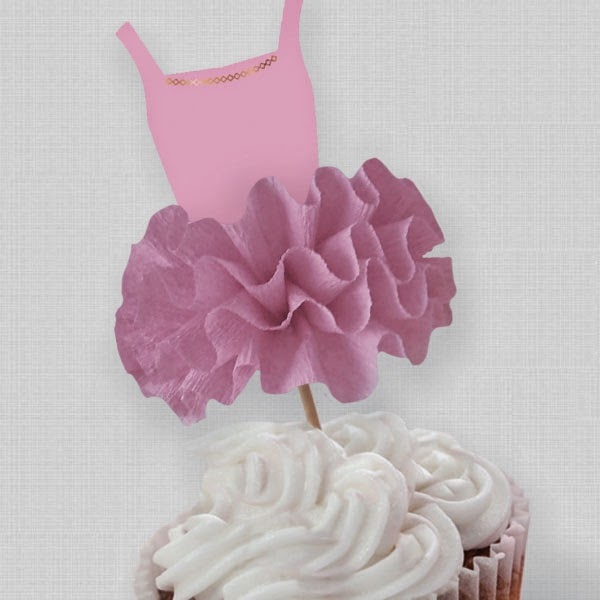 Careful pull the thread to create the ruffles and form a circle around the bodice cupcake topper. Tie off the end and cut excess thread away.4. Add a little hot glue to secure and fluff the skirt up!